Greenville native Eden Brent aka Little Boogaloo returns to Greenville! 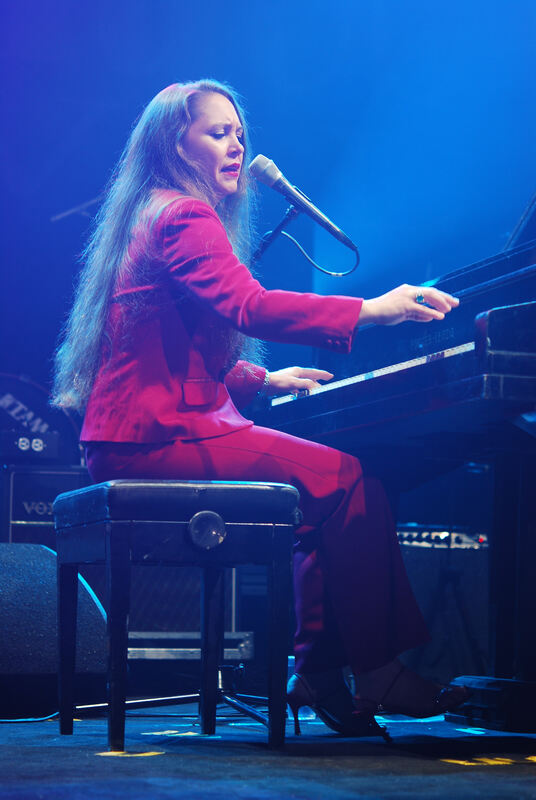 The Delta Symphony Association and the Greenville Arts Council have teamed up to bring Greenville native and internationally recognized blues pianist and vocalist Eden Brent to E.E. Bass Cultural Arts Center on Thursday, September 19th at 10AM (middle school & high school students) and 7:30PM (general public). This is one Art Experience you don’t want to miss. Brent returns to her hometown for DSA’s annual Tribute to the Blues where she will be playing and singing in her signature style, ranging from a melodic whisper to a full-blown juke-joint holler. She blends an earthy meld of Jazz, Blues, Soul, and Pop as she invites listeners into her lazy, lush world. Admission is $20 for the General Public and free for students & teachers for the AM performance. For more information about the Delta Symphony Association, the Greenville Arts Council, and this performance contact Jasmine Hughes at 662.332.2246 or jhughes@greenville-arts-council.com. Previous Post Leland Frog Festival of the Arts: Annual Art Competition now accepting entries! Next Post STUART LITTLE heads to Bologna Performing Arts Center! !